If I won, I'd have to try the biscuits and of course the strawberry shortcake! I would make the gluten-free Garlic Cheese biscuits for Thanksgiving dinner! And, also pancakes of course! Garlic Cheese Biscuits are amazing! I would make those then use them to make bacon egg and cheese biscuits the next day. I plan to make Cheese Garlic Biscuits (Gluten Free) :) *Thanks* for the giveaway! I would try the Gluten Free Impossibly Easy French Apple Pie (which might then become a weekly treat), the Cinnamon Streusel Coffee Cake (still haven't found a comparable gluten-free version of this), and the Impossibly Easy Cheeseburger Pie (look at those glowing reviews!). I would love to try these pancakes with my family -- probably the Baked Chicken, since we never get to have anything "breaded" at the Harding house! I would love to make the Impossible Cheeseburger Pie. It used to be one of my staples before I was diagnosed with Celiac Disease and I know my husband misses it. Is the contest still open? 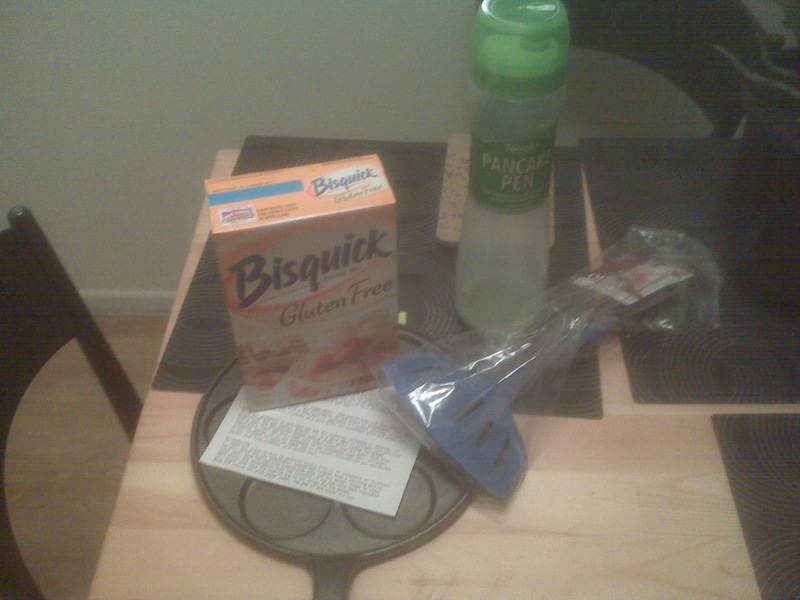 Before GF, I liked to make a coffee cake and pancakes and biscuits with Bisquick. I haven't tried the GF version, yet.